Miss Day 5? Catch up here. Thankfully, I didn’t have any problems getting there. In the morning, pretty much everyone is headed that direction, so even if you’re not sure where you’re going, you’ll probably end up at the station if you follow the crowd. I also didn’t have any issues getting to GenkiJACS; just some confusion as to where I should exit the station. 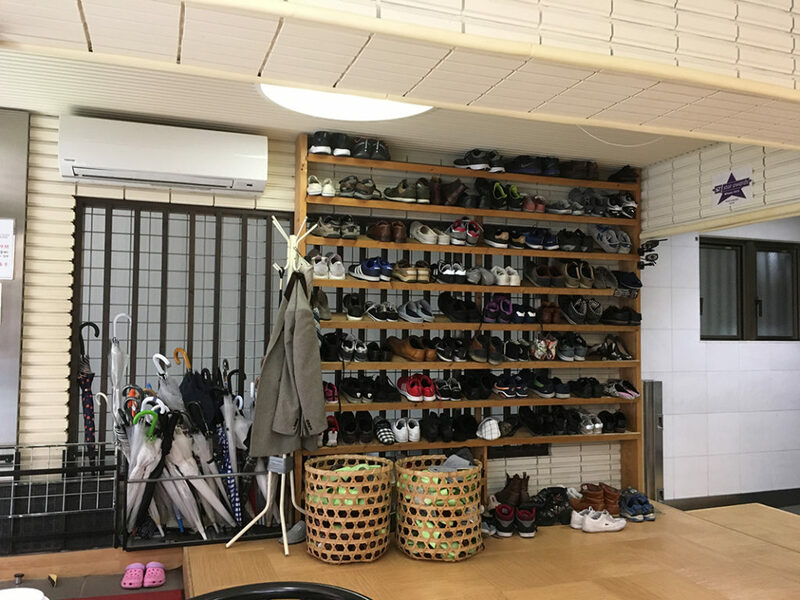 No outdoor shoes allowed! The entrance is just to the left. I had sort of a two-part interview. 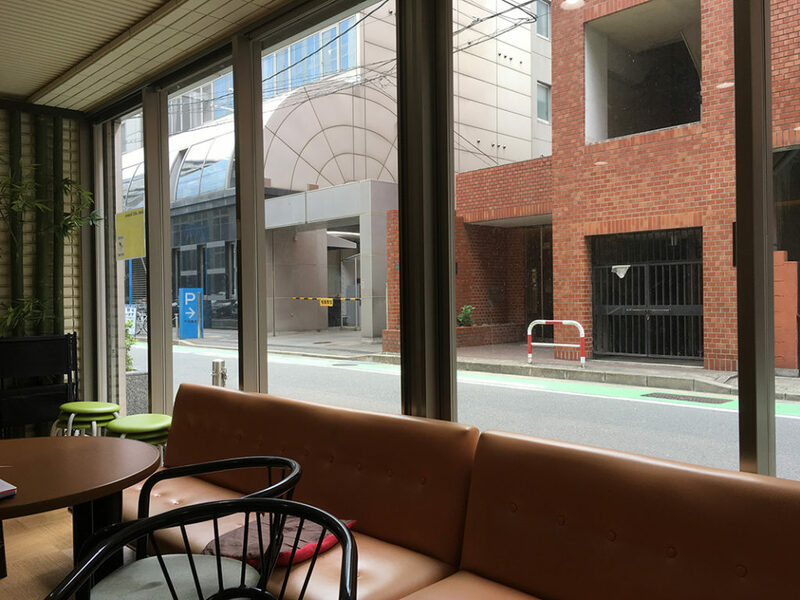 The first was just Aya-san confirming my information, picking out and writing my name on a cup, getting my photo taken, discussing my accommodation, etc. The second was to determine what class I should go into. During that, the teacher pointed out my audio files I’d sent in with the Beginner 1 and 2 tests I took online. The first one had 3 mistakes; the second one didn’t. So she wasn’t sure where to put me. She asked if I had studied certain things, and I said yes, and added that I’d been studying N3 grammar with Nihongo no Mori videos. She got another teacher, who brought me textbooks and explained some things to me. I ended up in what I believe is Lower Intermediate, or maybe between High Beginner and Lower Intermediate. I’m not sure. Our textbook was (affiliate link) Chuukyuu e Ikou. 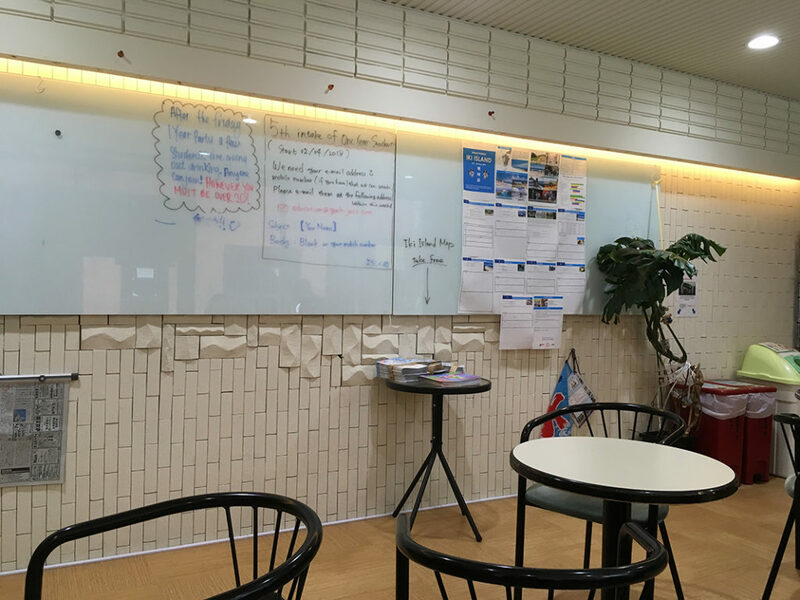 After that, the other new student, Hyun Sook, and I went to orientation, where Mori-san explained some things about the school and how schedules are issued (first week is on paper; after that, it’s posted online in the student portal). 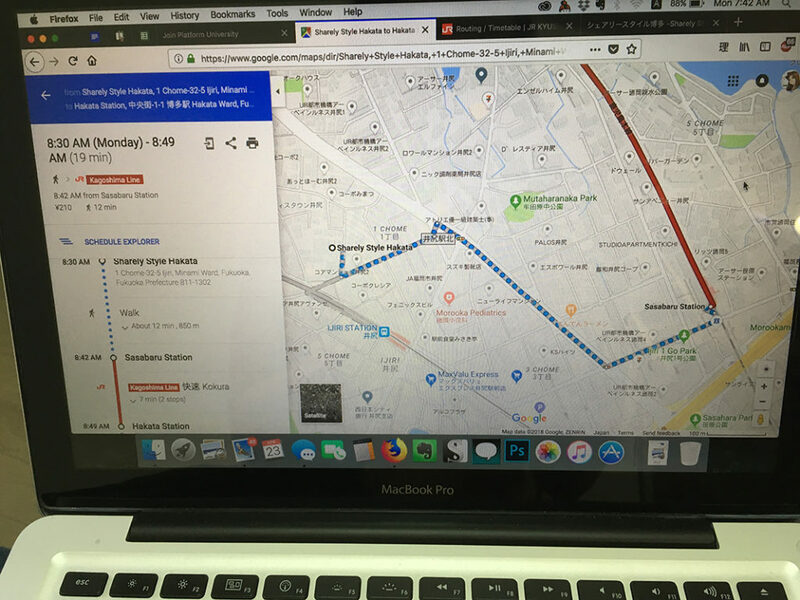 Then we watched a video, where I saw that you could ask the staff about renting a pocket Wi-fi…which I did the next day. I had a lot of time until my first class, so I spent it in the lounge. 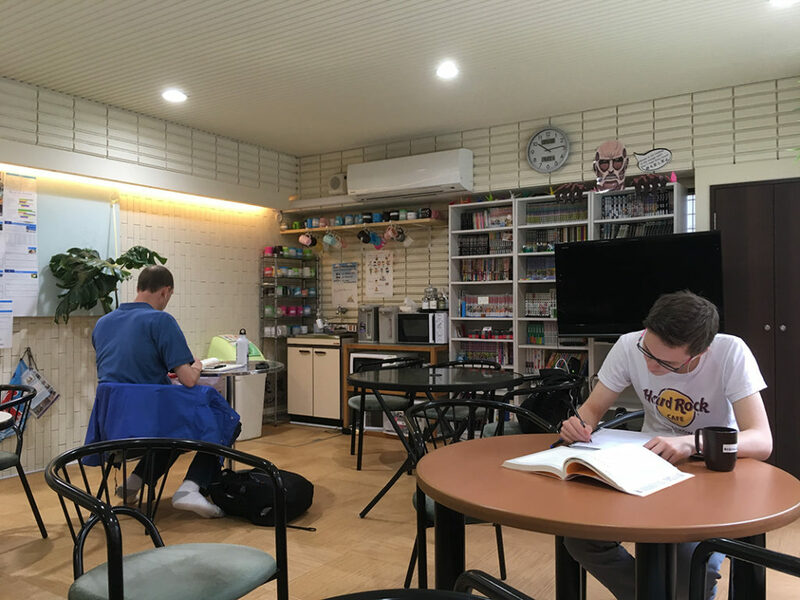 While waiting, I wrote a little, and actually got to listen in on a meeting between Evan Kirby, the founder and director of GenkiJACS, and two Koreans who I think are part of an agency that places students in schools abroad. 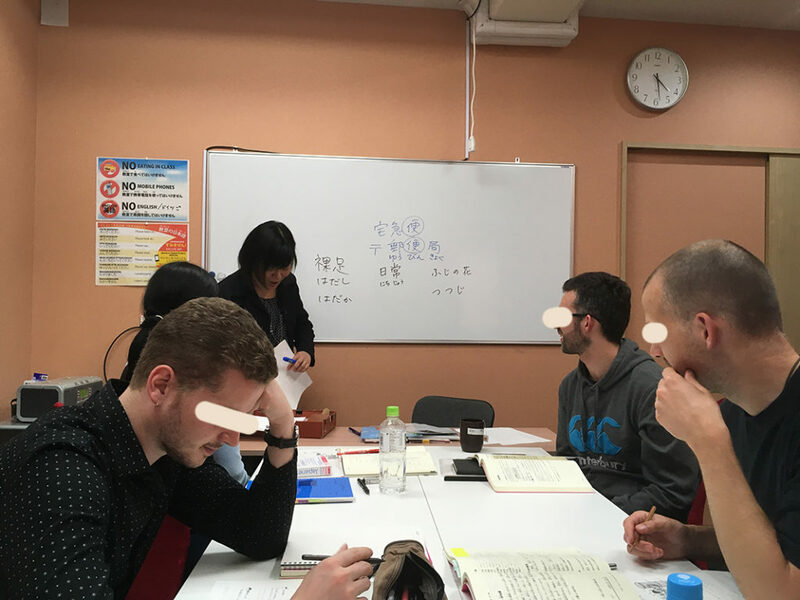 They were inquiring about whether or not GenkiJACS would be a good fit for the student they were helping. The man was speaking amazing Japanese, and so was Evan. I was so impressed. Then, the woman was speaking in English. They translated for each other in Korean. It was so interesting. 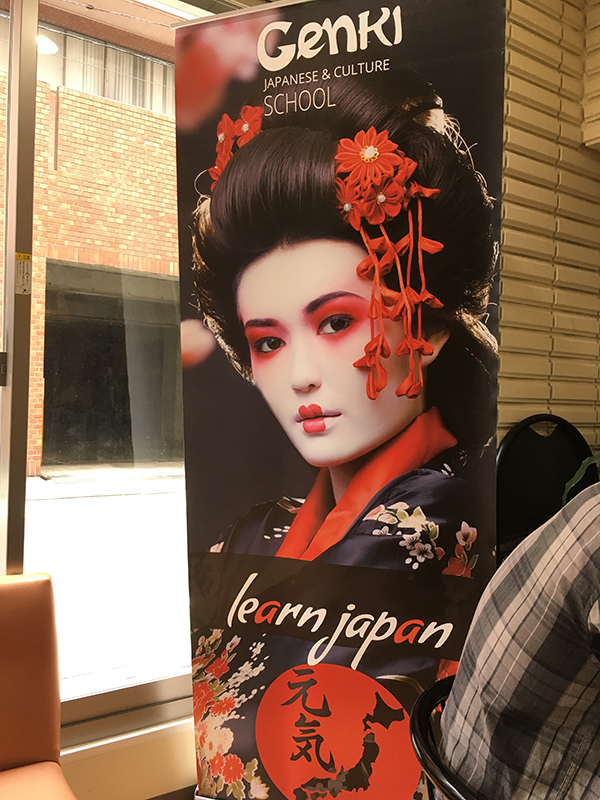 Witnessing that made me want to try harder to study so that one day, I can function completely in Japanese too. My first class went well. It was pretty clear that the others had better speaking ability than me. 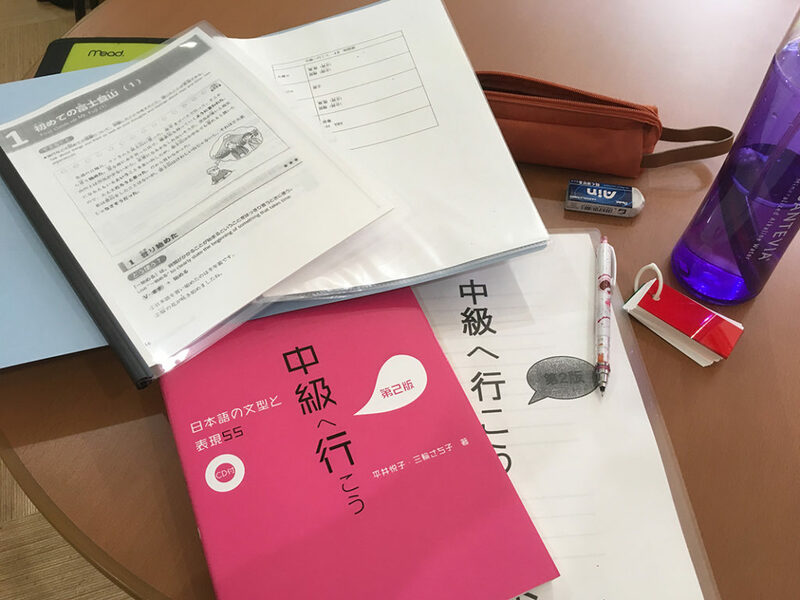 I can pronounce Japanese well, and probably my strongest point at the moment is kanji and reading, but my speaking skill is not as good. It’s the same with coming up with my own sentences; I’m definitely more of a beginner. I really want to get better at speaking. I guess that’s partially why God allowed me to get lost so I had the opportunity to ask for directions! Speaking of getting lost, I got lost coming back from GenkiJACS. First of all, I went to a Family Mart close to the school to pick up some food, scissors, water, and an umbrella. That was partially a mistake because I had to lug it around the whole trip. 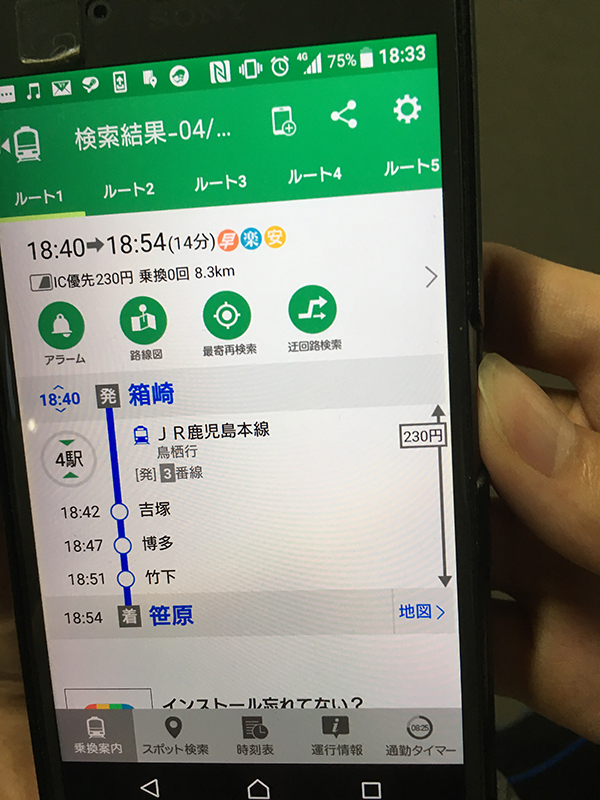 I got on the wrong train (it was going the opposite direction) and some kind guys helped me – one of the younger guys got off with me and waited at the platform, telling me how many stops I needed to wait before I got off. So I safely got to Sasabaru. Then I didn’t know which exit to take from the platform. So I waffled and finally a guy came out of one of them and I asked him for help. He looked up Sharely Style on his phone and told me that either exit was fine; I just needed to turn right once I got out. I took the left exit, which looked abandoned. There was no one there to show my JR Pass to, so I waved it around hoping a camera would pick it up and see that I was being legal. Upon exiting, the place felt somewhat familiar but foreign. I pulled up Maps.me but decided to trust the guy and Google Maps, and turned right. 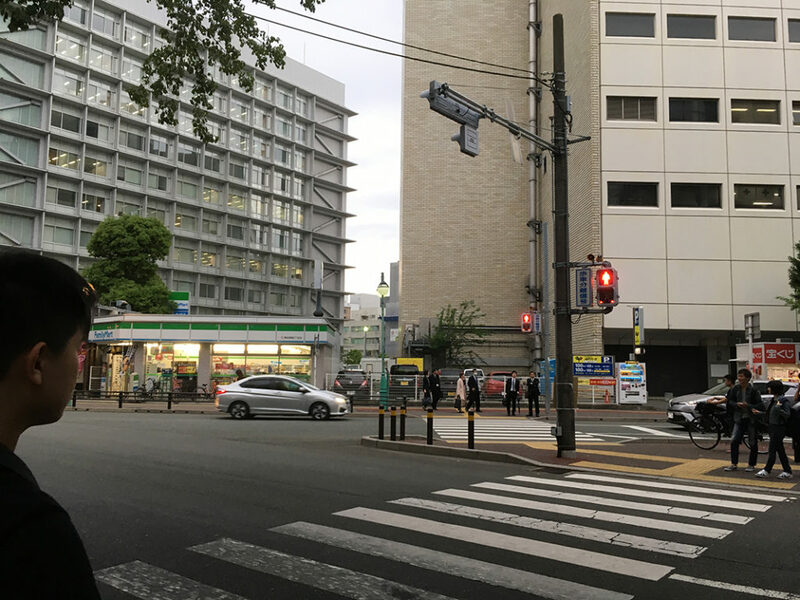 Crossing the street, I saw the entrance/exit that I had come into that morning! So if I had taken the other exit, I would have come out there. Having successfully exited the station, the final challenge was actually getting back to Sharely Style! 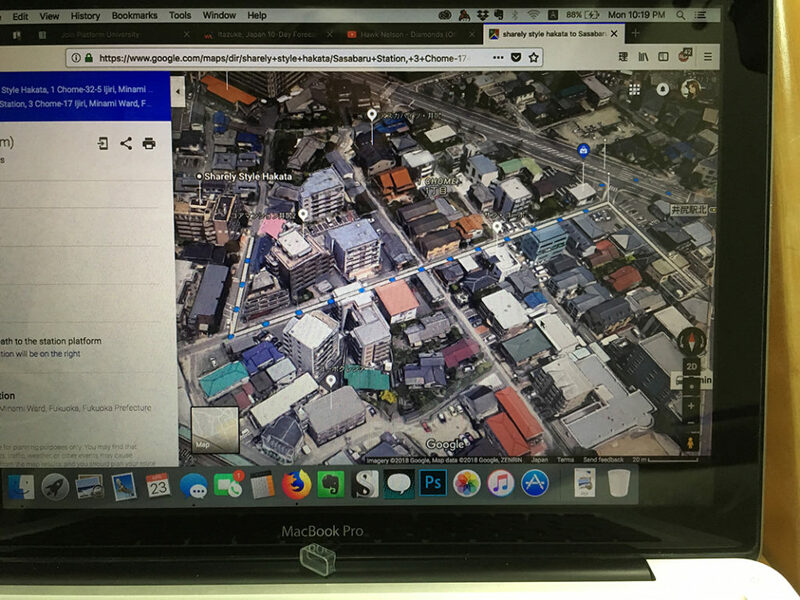 Maps.me helped until it started getting confused about where I was. I had specific landmarks I’d picked out, but the app indicated I needed to walk further. To make matters more frustrating, it started sprinkling rain and I had to stop to open my umbrella. As it turned out, I was right, and finally the app agreed with me. In any case, I made it back safely! The next day would begin me trying to figure out a schedule and combating my poor Japanese composition skills. I was surprised to be at that level! When they asked me what I was studying previously and I said N3 grammar, that seemed to be the deciding factor. Reading-wise, I could comprehend a lot of the book, but speaking and listening and writing (all the important communication stuff) was a lot harder. 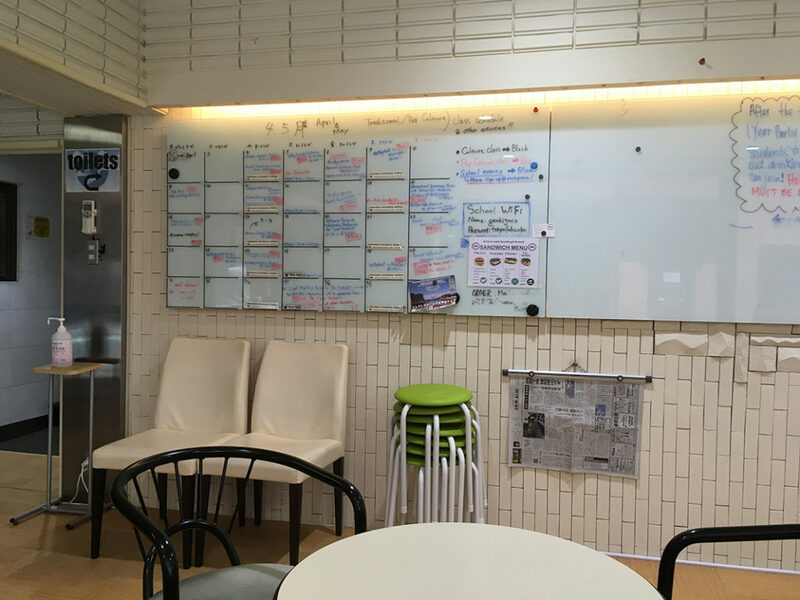 ^^; My second week was just two days because it was Golden Week, and we practiced keigo LOL. Yes! While editing this post I was laughing at myself, but it’s so true. After a few times, you figure it out! Yep! I remember when I arrived at Ijiri for the first time, I needed help too. I studied there for only two weeks 🙁 I wanted to stay longer, but I had to move on. Maybe I can go back and study there again in the future! Yeah 😐 It was too short for sure! Yes, I heard about that!! So exciting!